The full version of Minecraft: Education Edition will be available to purchase on November 1. Educators interested in trying the experience for free before buying can still try the early access version of Minecraft: Education Edition through November 1. Those new to using Minecraft in the classroom can also visit education.minecraft.net, which includes lesson plans and a new Minecraft Mentors program that connects educators with others experienced in teaching with Minecraft. 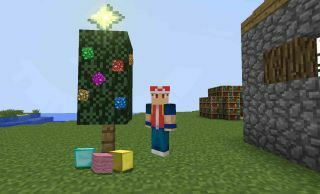 Classroom Mode: A companion app for Minecraft: Education Edition that enables educators to manage world settings, communicate with students, give items and teleport students in the Minecraft world. New Minecraft game features: The latest updates to Minecraft: Windows 10 Edition beta will be included, such as leads and horses, additional player skins, pistons and the remainder of Redstone functionality and an updated user interface. For more information visit education.minecraft.net.